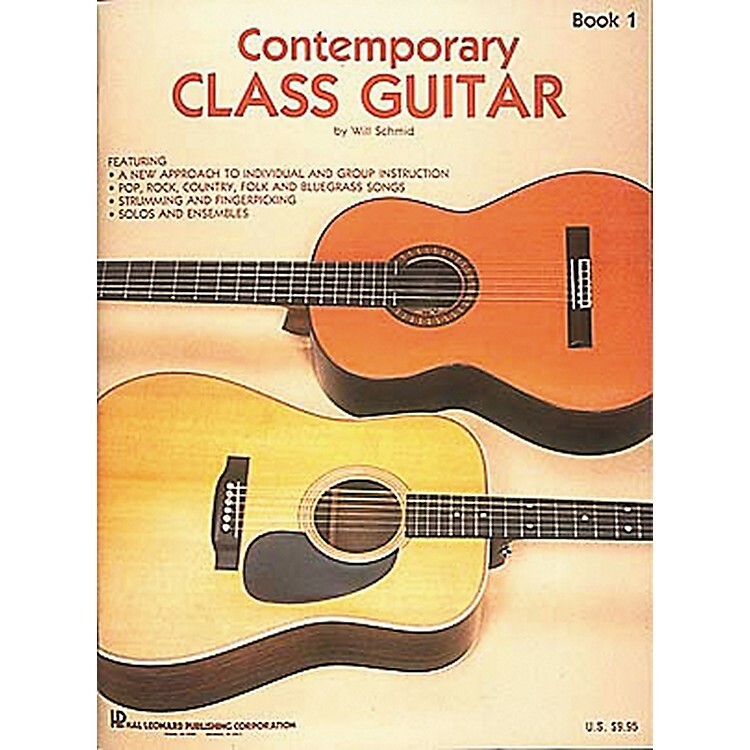 Contemporary Class Guitar by Will Schmid offers you a revolutionary new course of instruction for class guitar to give players a solid educational foundation. The guitar lessons teach chords for singing, strumming, and finger picking; instruction in melody playing and music theory; guitar solos and ensemble, improvisation and writing music. Many popular songs, including: Eleanor Rigby * By The Time I Get To Phoenix * Hey Jude * Yesterday * You Needed Me * The Long And Winding Road * It's Hard To Be Humble * Daniel * Mammas Don't Let Your Babies Grow Up To Be Cowboys * and more! The music book has more than 45 songs and is 96 pages long.